Just like you need both hands to clap, companies need both rewards and recognition working in tandem to engage and motivate employees. Jerene Ang showcases case studies from organisations that have mastered this two-pronged approach. Similarly, on her personal experience, Leah Donovan, an Australia-based senior HR executive with 18 years of experience, says: “Rewards and recognition are so interlinked. For example, money (salary) is a reward in the sense that you are giving your employee something of value for doing a job. 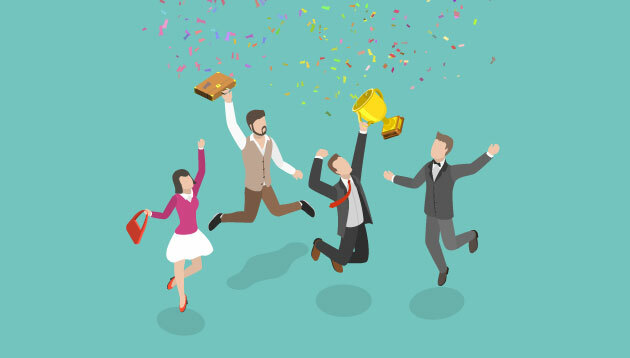 At the same time, you are also recognising them by paying them what the job is worth in the market.” Having established that both rewards and recognition are needed to successfully drive employee engagement and motivation, we speak to organisations that have mastered this two-pronged approach. To Ilja Rijnen, Emerging Asia HR Director for Beam Suntory, while strategically used rewards can drive performance and retention, it won’t drive (longer term) engagement or efficiency in working. Whereas recognition, if done authentically and timely, can have a prolonged impact on motivation, performance and engagement. With an ambition to be the fastest growing and most respected spirits company, Beam Suntory makes use of both rewards and recognition to engage and motivate staff. The company has regular communication and awards on “Yatte Minahare” and achievements are celebrated. 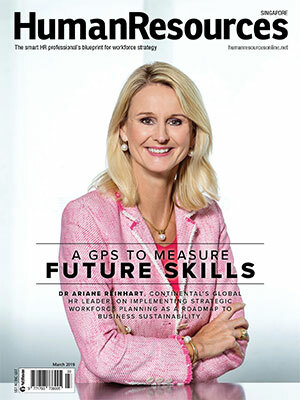 To reward for performance, Beam Suntory uses a clearly defined leadership and behavioural framework as well as leadership assessments to identify top performers based on what they deliver (50%), as well as on how they had done it (50%). “Rewards are tied to this – monetary in the form of a fair performance reward system and great secondary benefits, including a great work climate, office bar, voluntary leave and good medical benefits,” Rijnen says, adding that those are the basics in place for all staff. Where the differentiation starts between the core employees and top performers is through the partnerships it builds between top performers and the individuals in terms of development where various development programmes are in place for (aspiring) leaders and functional talent. In addition to the development programmes, Beam Suntory conducts local market and functional recognition regularly, tied in to locally relevant initiatives. Team and individual recognition is also done on an ad-hoc basis and locally owned. Photographic and digital imaging solutions company Canon believes both rewards and recognition factor equally in driving employee engagement and motivation. Recognition drives engagement while solely relying on rewards to motivate employees would be difficult. Hence, organisations need a balance of both. At Canon Singapore, the compensation philosophy is centred around reward for performance. Top performers are recognised through monetary rewards as well as being prioritised for greater exposure opportunities through roles in cross-functional projects and overseas assignments. Winners are spotlighted on the Canon intranet and are featured in the monthly internal e-newsletter. For the “Canon Breakthrough Awards”, selected winners also have the opportunity to share their success stories with management and all staff. To communicate the rewards, the firm makes use of various face-to-face conversations with employees such as town hall sessions and group dialogues. Additionally, Canon Singapore’s CEO believes in hearing things from the ground. Hence, dialogue sessions with the CEO are carried out on a monthly basis, providing a platform for staff to share their suggestions and views with the CEO directly. Apart from this, regular updates are also shared through various employee communication touch-points such as monthly e-newsletters and “Canon Express” – a weekly live broadcast by employees. Recognised by the Tripartite Alliance for Fair and Progressive Employment Practices (TAFEP) as an exemplary employer in the area of rewards and recognition is Heraeus Asia Pacific Holding. The German technology company’s philosophy is pay for performance. During the annual merit increment exercise in July, managers are provided with a guide on rewarding employees fairly. This helps Heraeus retain the best staff, while reinforcing the company’s values, goals and objectives. Meanwhile, the “recognition award” recognises and rewards employees for their extraordinary performance or contribution. We reward employees and teams for extraordinary performance or contribution to the company. The award is categorised into three levels – gold for stellar performance, silver for outstanding performance and bronze for good performance – with a monetary reward corresponding to the level, starting from $50 going up to < $1,500 to a maximum of 10% of an employee’s annual base salary. Employees are also rewarded according to the overall company and business unit performance, individual targets and a third component, that is, the leadership factor. Exemplary employers are those that go beyond monetary means to reward and recognise employees. “They see compensation, benefits, recognition, skills development, and career opportunities as part of the total rewards that an employee receives as a form of recognition for their good performance. All employees are eligible for an annual cash bonus based on overall company performance and the employee’s individual performance. Managers are coached to create a recognition moment that reinforces HP’s rewards philosophy by talking with employees about how their personal efforts and company performance led to their bonus payment. Another way HP shows appreciation is through nomination-based programmes that allow key contributors to be publicly recognised and rewarded. HP encourages managers and employees to make recognition a habit, and to practise it both within and across teams. HP provides each manager with a rewards budget of points they can allocate to employees for selecting merchandise or experiences from an online catalogue. The firm is also in the beta stages of a recognition “concierge” initiative where a manager can work with the recognition team to create a unique memorable moment specifically designed for its employee. Rewards may be straightforward to implement, yet difficult to communicate. Leah Donovan says: “Unless you are going to be incredibly transparent with employees on the different salary and job levels within the organisation, and the bands that are applied to each role, you have got to be very considered in what you communicate and how you communicate, because you can’t just tell someone half the story. There’s also the concern of maintaining a competitive advantage, noting that being transparent may make it easy for competitors to increase their offering to poach people. When it comes to recognition, becoming great at it involves training and starting from the top. According to Ken Lim, Human Resources Manager at The Esplanade Co, who shares his personal experience, most employees feel unappreciated because they are not receiving any feedback for the great work they have done. Suggesting a solution, he says: “Companies can consider training for managers on providing effective feedback as part of their leadership development. Managers can also be encouraged to provide timely feedback and not wait until the annual performance review.” If the achievement is significant enough, he also suggests to recognise it openly among peers, but cautions to ensure consistency in such cases. Note: Unless otherwise stated, views expressed in this feature are based on personal experience.